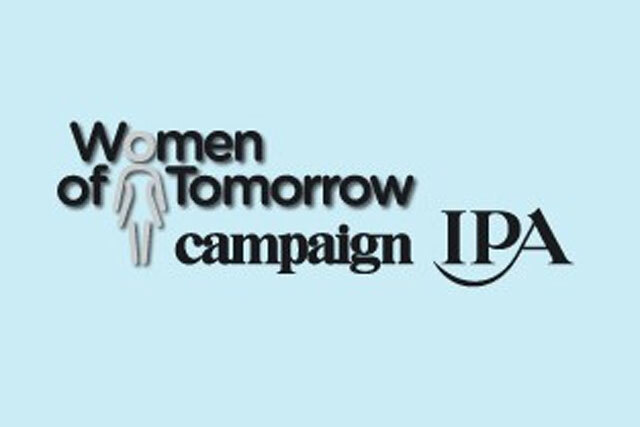 The deadline for entries to Women of Tomorrow, the IPA and Campaign initiative to champion future female industry leaders, has been extended to end of play on Monday January 27. The contest, run in partnership with Facebook, TLC and Daniel Marks, will see ten women awarded at a breakfast ceremony on March 11. The winners will be selected from a judging line-up that includes Tess Alps, the executive chair at Thinkbox; Lindsay Pattison, the chief executive of Maxus UK and chief strategy officer of Maxus Worldwide; Camilla Harrisson the chief executive of M&C Saatchi; Catherine Kehoe, the managing director of retail brands and marketing at Lloyds Banking Group, and Susanna Dinnage, the general manager of Discovery Networks UK. The panel will be co-chaired by Karen Blackett, the chief executive of MediaCom and Maisie McCabe, the news editor of Campaign and Media Week. Nominations are invited from women from the middle echelons of management in agencies, media owners or client companies. More information on the competition and how to enter is available on the IPA's website.